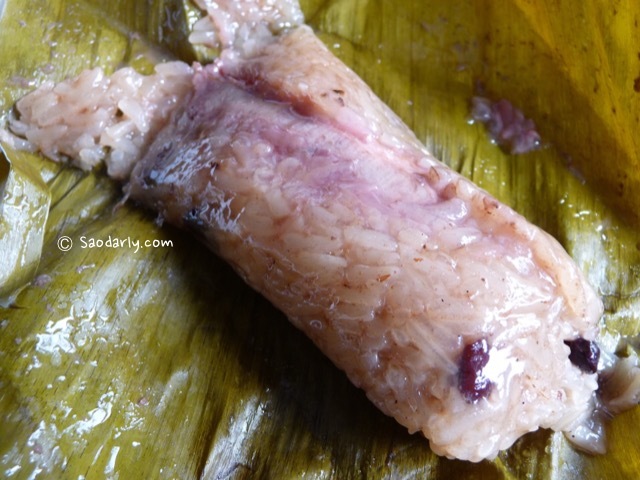 Khao Thom (ເຂົ້າຕົ້ມ; ข้าวต้ม) or Steamed sticky rice with banana and black bean wrapped in banana leaves for breakfast in Vientiane, Laos. 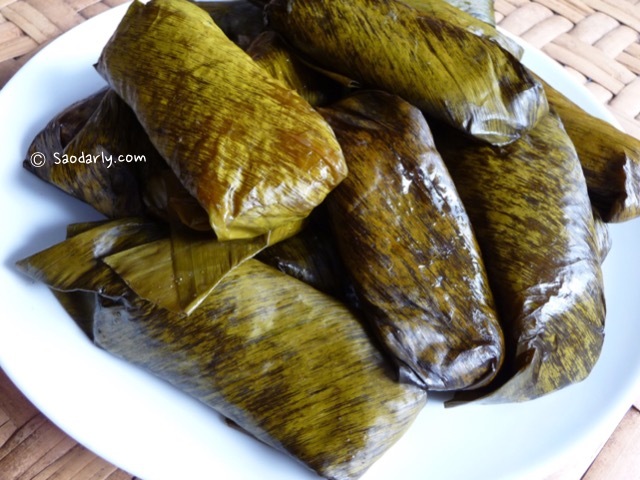 This sweet parcel of sticky rice with banana is popular throughout Laos. 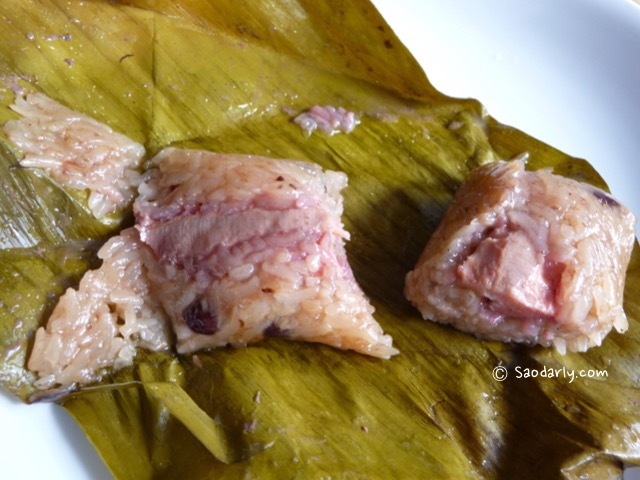 I like Khao Thom as snack or for breakfast. When my relatives are not making the sweet treat for a festival, I usually can find it at the local markets or street stalls.